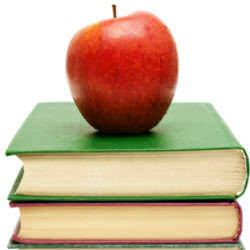 A group for people actively involved in the field of education (as teachers, lecturers, teacher aides, etc). A great place to share pedagogies based around the NAP and have discussions on current and future education policy. I’m curious if your libertarian views influence how you manage a classroom. Personally I can’t stand disciplining kids – not even telling a kid to be quiet or splitting up two kids that are talking. All my students are really well behaved anyway so thankfully no issues have ever arisen. The problem is that I can’t even imagine what I would do if there was really a situation where a kid was acting out and deserved punishment. Personally I think it should be up to the parents but I don’t think anyone agrees with me since I’ve been asked that at many job interviews and received no offers. Part of me just wants to say “I think corporal punishment should be allowed in schools” just to see what response I get. It can be very challenging, especially in the later years. It’s very easy to subdue a class of students through threats of violence, but then the teacher has unwittingly changed the objective of the game to crowd control rather than encouraging any meaningful learning to take place. This problem is further compounded by having large classrooms including students with various special needs, levels of subject comprehension and interest levels. Try teaching a grade 10 mid-band maths class with an equal mixture of “footie boys” (that’s jocks in Australia), drama queens, and, for wont of a better word, mathematically-impaired students. At the end of the day it simply takes a lot of patience, bargaining and consistency on the part of the teacher. If I had a penny for the amount of times I’ve been “this” close to unleashing the wrath of my own high-school chemistry teacher, I’d be able to afford a reasonably-sized plot in Galt’s Gulch.